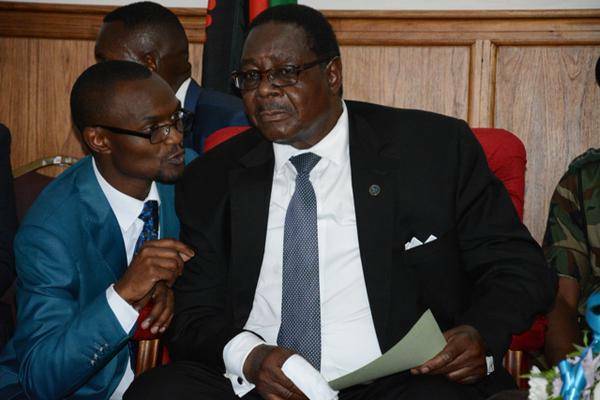 Information that Malawi24 has gathered indicates that cracks have emerged in the ruling Democratic Progressive Party (DPP) with party hierarchy wary over Mutharika’s personal assistant as well as director of operations and fieldwork, Ben Phiri, claiming he is misleading the President. Sources within the party have confided in Malaawi24 that there is a feeling of discomfort among senior members of the members who have expressed their dismay at the way Phiri has usurped authority over Mutharika. “It is not a secret anymore, everybody knows Phiri wields much power and lately it seems he is using it to the disadvantage of the party and Presidency,” the source opting for anonymity for fear of reprisals said to Malawi24. The revelation has come fresh on the heels of another indictment of Phiri as being the masterminder of the demotion of three other Presidential aides: Fostino Gunda Phiri, Duncan Mwapasa and Hilda Chapola. “Ben is the fourth arm of government and the most powerful one,” said a State House official to another online news source verifying the demotions. Meanwhile fresh revelations have indicated that to consolidate his control over Mutharika, Phiri has been telling lies to the President and has made other people fall out of favour with him among which one of his victims is Bright Malopa.